At the forefront of house music’s current resurgence, Hot Natured will release the ‘Benediction’ remix EP on FFRR on 3 August. Anticipation for the release is building after Annie Mac premiered the GRADES remix of ‘Benediction’ on Radio 1 on Friday night, following the acclaim for the Lxury remix earlier in the year. 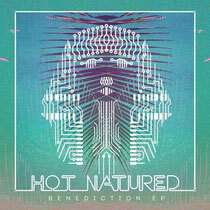 'Benediction' first appeared in the autumn of 2012 on the diminutive Hot Creations label, with no video or remixes. After becoming the official Ibiza anthem of that summer, it arguably helped pave the way for the current wave of house music that now dominates the chart. Hot Natured's influence has been significant and each member of Hot Natured has a good reputation in their own right. The group is made up of producers and DJs Jamie Jones, Lee Foss, Luca Cazal and Ali Love. GRADES is a south London producer/DJ/songwriter with the ability to mix huge radio-friendly hooks with elements of classic and contemporary house, who is earning a growing reputation following his remix of Lana Del Rey’s ‘West Coast’ and his bootleg of Brandy’s ‘Wanna Be Down’. In addition to the original and the GRADES mix, further remixes come from Lxury and Nic Fanculli, with more mixes to be announced. Check it out below.